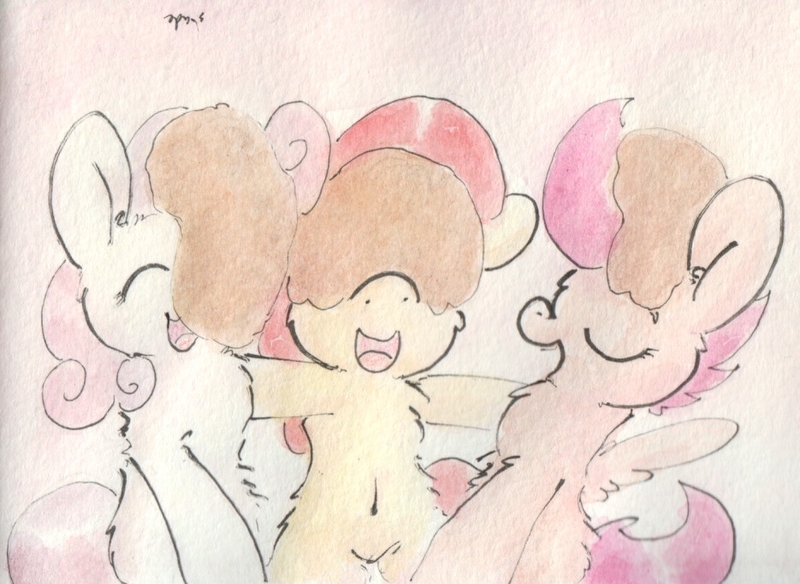 Cutie Mark Crusaders Pancakeface Fillies, Yay! Thanks! They are cute ponies, after all! You're welcome. Yeah, they're so cute. Have you drawn Babs? A couple of times, yes. Not much recently, though! Oh, that's ok. Did you hear she's going to be in the new season? Ok, I can see where you're coming from. I like a surprise too.